I'VE BEEN A BORN AGAIN CHILD OF GOD MOST OF MY LIFE. LATELY I'M FEELING DISCOURAGED AND JUST NOT SURE ABOUT MY LIFE. MY HUSBAND ,JERRY,OF 36 YEARS HAS NEVER COMMITTED TO GOD. HE GOES TO CHURCH SOMETIMES AND HE CALLS ON GOD WHEN HE FEELS GOD CAN HEAL,TOUCH OR DO SOMETHING FOR HIM.MOST OF THE TIME HE USES HIS NAME IN VAIN. HE HAS NEVER BEEN THE SPIRITUAL LEADER OF OUR HOME. OUR KIDS ARE GROWN AND ON THEIR OWN NEVER FELT HE WAS THERE AS A LEADER. I FEEL SO LONELY MOST OF THE TIME EVEN WITH MY CHURCH FRIENDS AND THE THINGS I NEED. MY MARRIAGE IS FALLING APART. WE HAVE NOTHING IN COMMON.I JUST NEED TO SEE GOD MOVE IN EVERY AREA OF MY LIFE RIGHT NOW. I'M LIVING BELOW POVERTY LEVEL. WHY I'M NOT SURE. I PAY MY TITHES AND OFFERINGS TO MY CHURCH AND TRY TO DO WHAT GOD WANTS OF ME.CAN IT BE BECAUSE OF HUSBAND's UNSAVED LIFE? MY HOUSE IS FALLING APART,MY YARDS NEVER GET MOWED, RAKED OR ECT. MY FENCE IS FALLING DOWN. MY HUSBAND WON'T SEE WHY I'M SO UPSET ABOUT IT. HE SAYS WELL YOU HAVE A ROOF OVER YOUR HEAD. 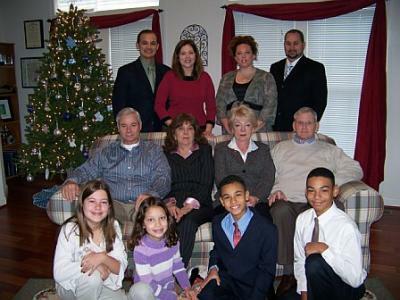 THIS CHRISTMAS 2006 OUR FAMILY FELL APART.MY HUSBAND WON'T EVEN SPEAK TO OUR DAUGHTER. ONLY IF HE HAS TO. WE WERE A VERY CLOSE FAMILY UNTIL THEN. THATS WHEN MY DEPRESSION STARTED. I think that it may be a blessing to you, and I did not want you to miss it. This is amazing there are a lot of people stating their stories and this is true that when you get in touch with God your problems start getting solved. I am sharing this story at paper writing service so that other get some guidance and they revert back to God. Every student should follow your awesome article, me too visit frequently for earn more like that. I need such type of posts with best write my essay narrative really fantastic site. I want you to know that I am praying for your family. I also was wondering if you received LaWanda's response to you in the Couple's Bible Study discussion. I think that it may be a blessing to you, and I did not want you to miss it.